Classic cars are often a prized possession to the owner. Classic cars also tend to be delicate and harder to repair than newer cars. Original classic cars, that have not been restored, can have their value drastically lowered if they are damaged and need to be repaired. Repairing classic cars, with original parts, can be difficult and expensive, but using newer parts can lower their value by ruining their original condition. Therefore, when shipping a classic car it’s essential to find the right car carrier. A car carrier and truck driver that has the proper equipment, expertise, and knowledge to ship the classic car from point A to point B without a scratch. Get a recommendation from a reputable source that can recommend the proper car carrier. Great resources are major auction companies, museums, car restorers, local car club members, and car collectors. Their recommendation combined with additional research, through classic car forums, and review sites can help ensure that you choose a car carrier that you can trust and is experienced in shipping classic collector cars. Make sure that the truck driver uses nylon straps or wheel nets to prevent damage to the chassis. Chains or improper use of straps can put unnecessary strain on the chassis or the body of the classic car causing damage. 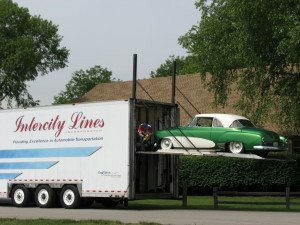 Decide whether you would prefer your classic car be shipped in an open car carrier, which is often cheaper, or an enclosed car carrier, which offers much more safety and security to your car. Unless your classic car is in need of restoration, you are better off going with an enclosed car carrier because of the risk of damage to your classic car is significantly lower. 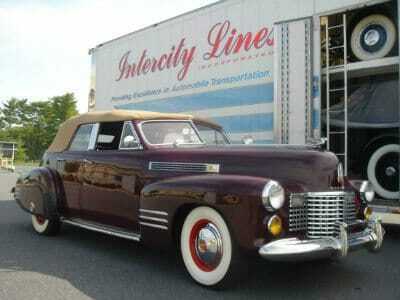 If your classic car does not run take that into consideration when deciding on an open or enclosed car carrier. Many open car carriers do not have winches to properly load your non-running vehicle. Also, some carriers charge large fees for non-running cars, so make sure you are clear on the condition of your classic car up front and understand all fees before having your classic car picked up and delivered. When shipping a classic car do not choose on price alone. Most reputable car carriers have similar cost structures and the equipment is very expensive, so a company that quotes a price significantly lower than others should make you wary. It could be the difference between getting your classic car to its destination in one piece. 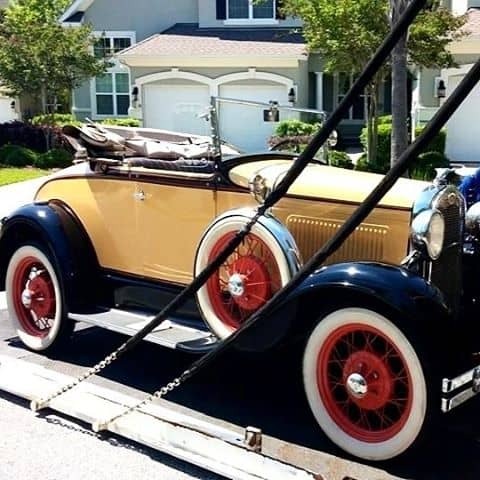 Once you have decided on an auto transport company, to ship your classic car, you should make sure you take the proper steps to prepare it for transportation. 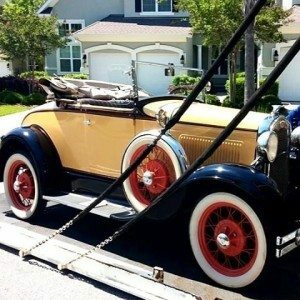 One of the best things you can do to prepare your classic car is clean it, so it’s easier for you and the truck driver, shipping it, to do a proper and accurate inspection upon pickup and delivery. You want to make sure every scratch, dent, and imperfection is accounted for and this is much easier to do with a clean car. This will help any damage claim problems, that may arise if your classic car is damaged during transport. Providing written instructions to the truck driver, in regards to anything they may need to know about operating your classic car, helps ensure they are able to properly load and unload your classic car. This can be information about battery and fuel cut-off switches, hidden switches, alarm instructions, and any other “tricks” to starting and running your car. It’s recommended that you only have your tank half full and your batteries fully charged to avoid additional fees that occur when your car does not run. When the classic car is picked up, the truck driver will inspect it and note any pre-existing damage, scratches, or marks. At the time of pick up, it’s always best to get the driver’s contact information and confirm if he will be the one delivering the car or will it swap to another truck during transit. After delivery, you or a trusted representative should inspect your classic car and note any damage caused during auto transportation before signing. If you do believe your classic car incurred damage during transport notify the driver before signing the delivery inspection or BOL and have the driver note the potential claim on the inspection.